It's easy to think of commuting as a total waste of time. When you're standing on the train platform or waiting at a traffic light, every minute that ticks by can seem like a minute lost from an already jam-packed day at work. But there's good news for those of you who wish you could spend that time more productively. There are a lot of fun, creative apps out there that help you make use of that time -- whether it's a 10-minute walk or a 60-minute bus ride. Drivers: We don't advocate the use of any of the apps on this list that involve reading or typing. 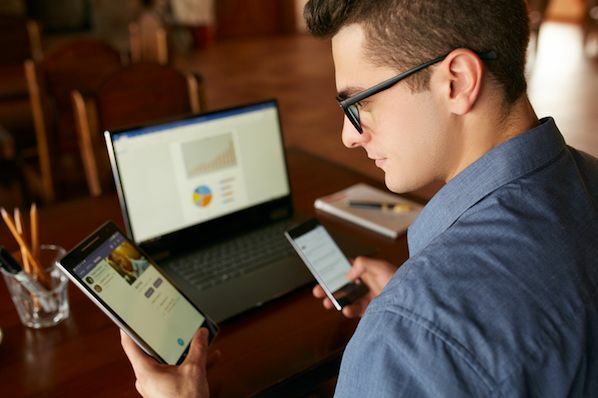 If you're the kind of person who likes to get organized first thing in the morning, use the following apps to list or review the things you need to accomplish that day. Taking that extra time to think about each task can help you prioritize and set realistic expectations. 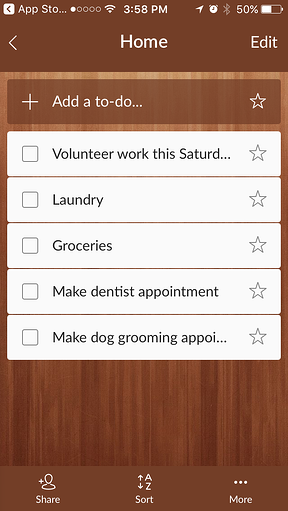 There are a number of to-do list apps out there, but Wunderlist is among the best. This app syncs between your mobile devices and your personal computers and allow you to drag and drop tasks between days and categories, as well as set alerts and due dates. 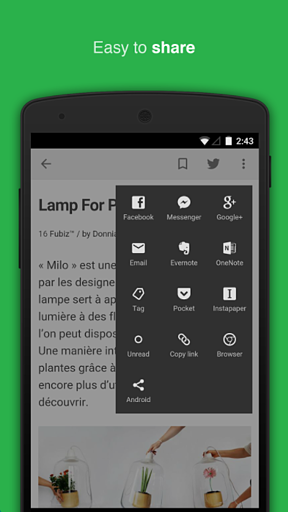 You can even share lists and notes with others. Evernote is a super clean task manager that segments your tasks into notes and even notepads -- allowing you to group similar notes together. While you can easily toggle between each note, you can also share specific notes with friends and colleagues, and open live chat windows with them to collaborate inside Evernote. If you're an avid Evernote user, keep in mind Evernote has a voice recording function, too. 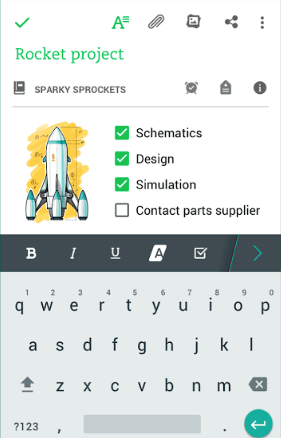 For you drivers out there, you can use the free app Dragon Anywhere to get your to-do list (and any other thoughts) down on your phone. 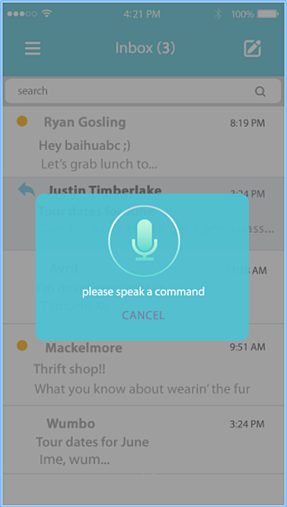 Simply speak while the app is recording, and your text content will appear. The free version of the Coach.me app lets you set personal and professional targets, get reminders, and choose whether to make your achievements visible to a community of active users so you can give and receive support. And starting at $15 per week, you can hire a coach to actually help you achieve them. There's something so satisfying about arriving at the office with a clean inbox. That's why I like to go through emails and delete anything extraneous before I even get in to work. 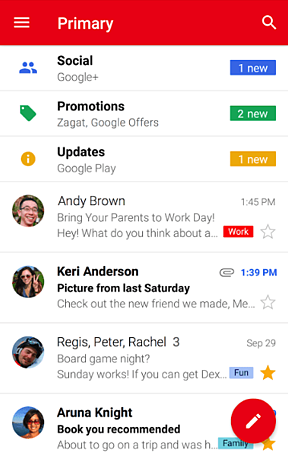 Gmail's mobile app makes this easy, allowing you to swipe emails to archive them, quickly label messages with color-coded tags based on the topic, and even "snooze" emails so they reappear in your inbox at a later date and time set by you. It saves me at least a half-hour and a loss of momentum during my most productive time of day. 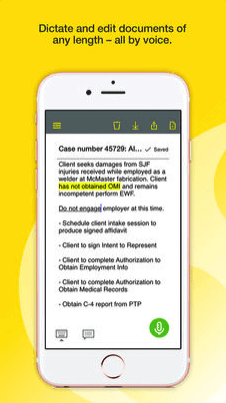 If you're driving, you can use ASAM -- a free app from AgileSpeech -- to "read" your emails. The app will read your emails out loud and word-for-word. (And when I say word-for-word, I mean it reads everything -- disclaimers, signatures, and other information you might've skipped otherwise.) When the message is finished, the app will "ding" and you have the option to dictate a reply. Remember those days when you absolutely had to be at your desk to get your work done? 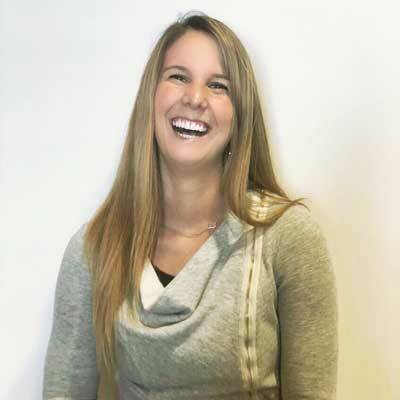 Those days are close to being gone, thanks in part to the new HubSpot Mobile app. With this app, you can take advantage of your HubSpot software, even if you're on the go. 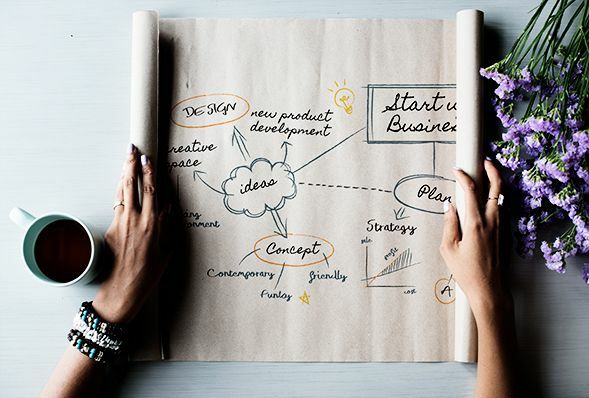 It starts with a customizable dashboard that gives you an at-a-glance breakdown of the most important metrics to you -- landing page, blog, and email performance, as well as deals and sales tasks. You can also easily access your contacts database, marketing insights (like email analytics) and your sales pipeline. For that last part, you can use the app to add notes, activities, or tasks, and keep track of deal stages. But my colleague, Eric Peters, let me in on a little secret about the internet of things (IoT). Thanks to its HOME app, if you own a iRobot device like Roomba, you can remotely clean your house from your mobile device. "My new favorite productivity app is from iRobot," he told me. "I can turn on my Roomba and clean my floor, and not have to vacuum later." What's more? You can even set a cleaning schedule for the week, in case you forget to spontaneously turn on your devices. Once upon a time, maybe after college, you were almost fluent in Spanish. Or French. Or something else you learned in school. But then, you stopped practicing. 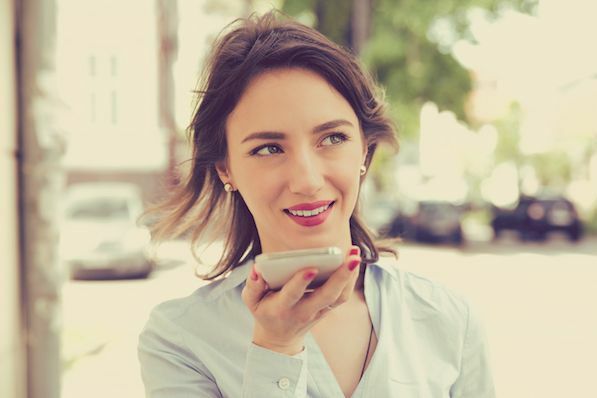 Use the following apps during your trip to work to freshen up on the language you always wanted to master. Want to get your language skills back on track? Duolingo is a fantastic (and free) app that makes (re)learning languages fun. Each lesson is short, painless, and super visual. 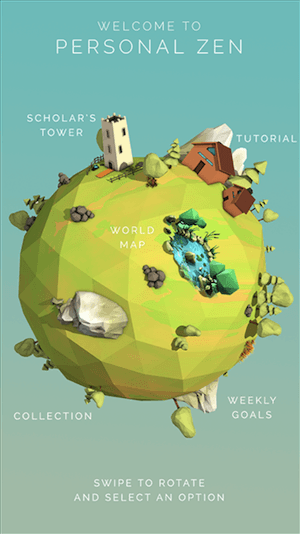 Slate called it "the most productive means of procrastination I've ever discovered." Be warned, though -- it can get addictive. 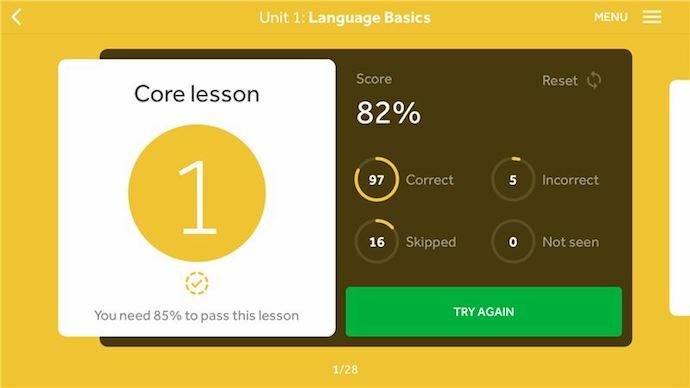 You've likely heard of Rosetta Stone, but did you know this classic language-learning software has a mobile app? This award-winning app teaches you up to 24 different languages using downloadable lessons and quizzes that you can take anywhere -- including your commute to work. complete a lesson per day, and you'll have a new language to impress your coworkers with in no time. If you'd rather not spend any more time staring at a screen during your commute, use the following apps to listen to a podcast or audiobook instead. It's a pleasant way to spend any length of time. Plus, you'll learn a lot of really cool information you can impress your friends with later -- all during your commute to work. 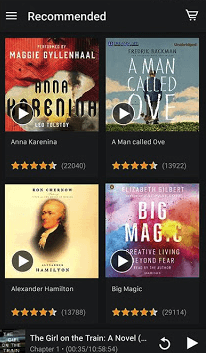 Audible, owned by Amazon, has the world's biggest selection of audiobooks, podcasts, and listenable programming -- all in your pocket. 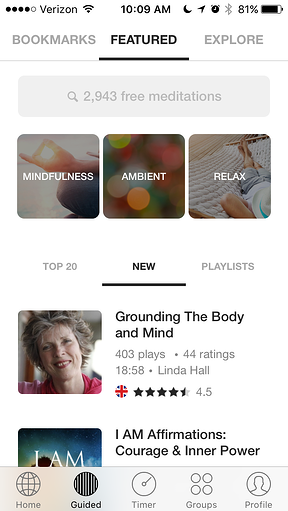 This mobile app constantly updates its library with new releases across genres, and allows you to listen to your chosen content without ads. 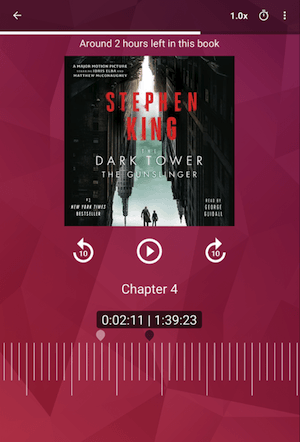 According to Audible, your first audiobook is free after you download the app. 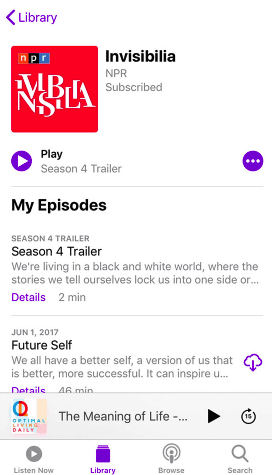 Podcasts is Apple's native mobile app for listening to your favorite podcasts on the go. The app streams nearly half a million shows, and allows you to download any episode to your library so you can listen anywhere without using cellular data. The more shows you listen to, the more recommendations you'll receive based on your listening history. The app Stitcher lets you make playlists of all your favorite podcasts. 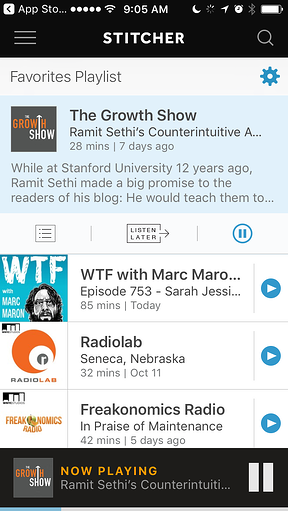 Discover new podcasts from the Front Page feature, while shuffling through each playlist you create. In addition, Car Mode allows you to browse your playlists easily while you're driving. Any NPR podcast -- especiallyThis American Life and their hit series Serial. Looking for something else? Take a look at Stitcher's list of Top 100 Podcasts. I don't know about you, but I constantly lament how little time I spend reading. 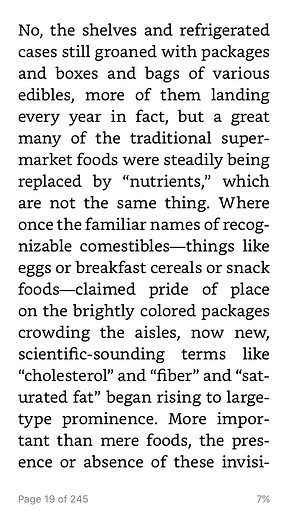 You know, actual books, newspapers, or print magazines. And while I also enjoy turning a physical page, I always forget to pack my print materials before I leave for work. The following apps allow you to read any book, newspaper, or magazine you choose from your mobile device. 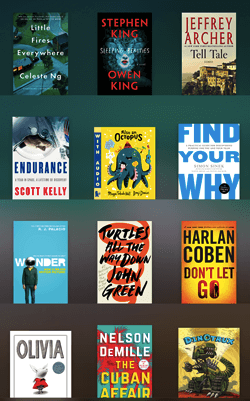 Kobo, like Kindle, is an e-reader that also offers a handy mobile app from which to access its massive library of ebooks and audiobooks. With more than 5 million titles to choose from, Kobo presents the content of your choice in the typeface you prefer reading it in. If your device's screen is a strain on your eyes, use Night Mode to darken the background and brighten the text. Each book title comes in up to 11 languages. 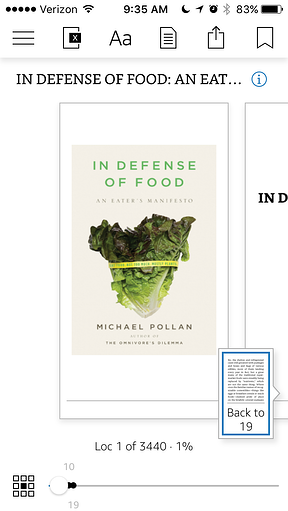 iBooks, for Apple devices, is an easy-to-use app for reading your favorite book on your mobile device. Peruse titles in all genres and age groups, while also discovering art and photography books for more passive reading on the way to work. You'll also find cookbooks -- save these for when you get home and need something to eat for dinner. Zinio is the world's first mobile newsstand. Browse magazines from more than 6,000 different publications, search by topic, and save issues offline for reading without using cellular data. 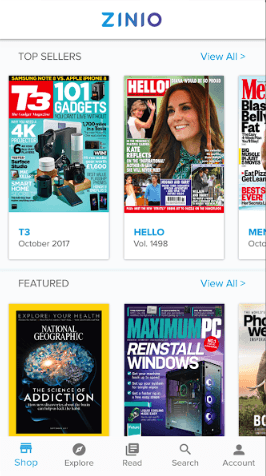 Zinio can also deliver reminders when new issues of your favorite magazines come out, and offer you savings on certain subscriptions you'd only get through this mobile app. With Kindle, you can download full reading materials and enjoy them from your phone or tablet. Kindle transfers any ebook purchases you've made on Amazon right to your device, so you can take in whatever great literature you please, right from the bus or subway. For news and magazines, we like Apple's News app, which lets you choose from a vast catalogue of publications that you can read right from your phone. You can store your favorites and choose from them with a simple tap. 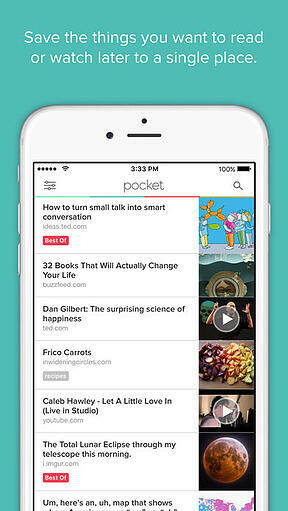 Using the Pocket app, you can save articles (and videos, and pretty much any type of content) in one place for easy reading on your commute. You can save content directly from your browser, emails, or from more than 500 apps like Twitter, Flipboard, Pulse, and Zite. 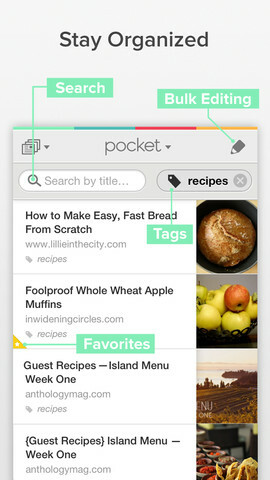 So, whereas Evernote is a great app for long-term content storage, Pocket is perfect for bookmarking stuff to read later. 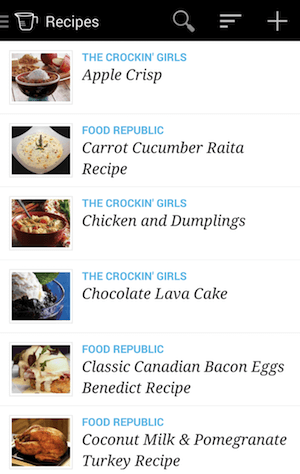 We've covered how to catch up on the latest content from your favorite publications. But what about your favorite blogs or other online news sources? 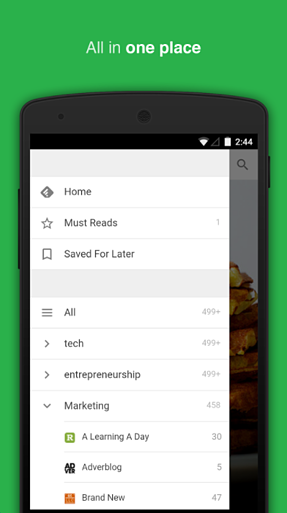 Feedly is an RSS reader that lets you subscribe to the publishers whose posts you never want to miss. You can separate them into different lists, mark articles as "read," share your favorite pieces, and even browse for new content. Not all of us are lucky enough to include browsing and posting on personal social media accounts in our job descriptions. 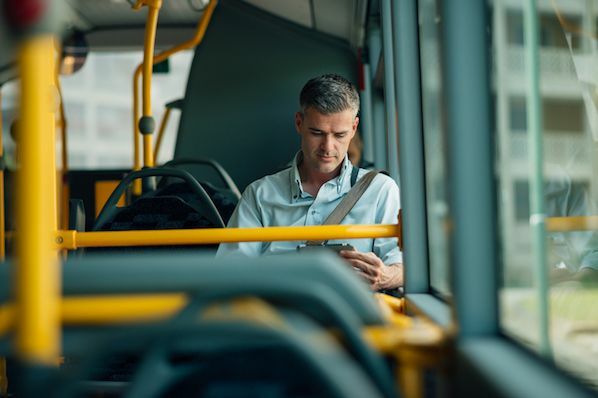 Resist the urge to check your news feeds and notifications at work by doing it to your heart's content with the following apps during your commute. Facebook is a longstanding mobile app that gives you all the features of the Facebook website. 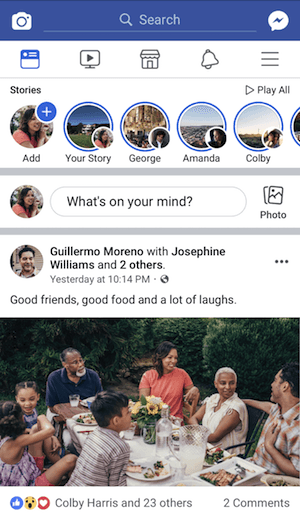 Check your notifications and scroll through your newsfeed to see what your friends shared, commented on, and posted most recently. Twitter serves up the latest mentions, direct messages, and replies to your tweets, just as you'd see on Twitter's desktop site. Use the scrollable newsfeed to like and respond to tweets that interest you, while seeing what the publications you follow are writing and tweeting about as you commute to work. 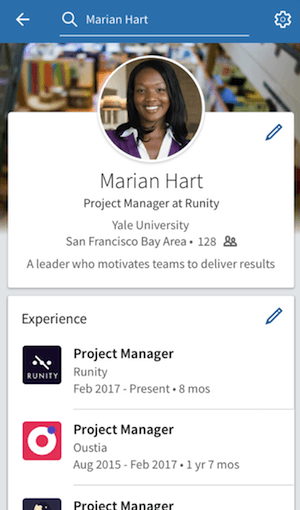 LinkedIn's mobile app allows you to view your new connection requests, direct messages, notifications, and even saved job searches. Of course, you'll also see the latest updates from your professional network on the same news feed as is on LinkedIn's desktop site. 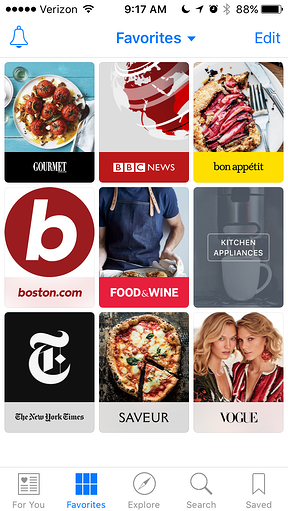 Pinterest's mobile app helps you discover new topics to pin to your personal "board" while you head into work. 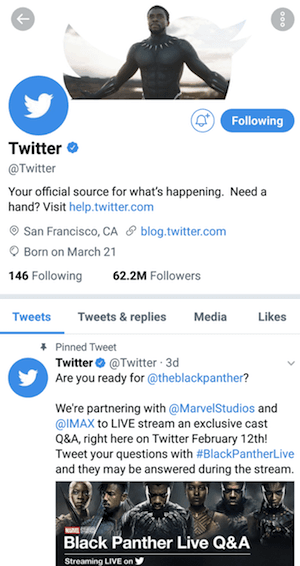 Browse your favorite accounts and save the infographics, recipes, clothing, and similar content you might want to dig deeper into later that day. Although Instagram has a desktop website, it was designed for mobile. And the Instagram mobile app is perfect for checking out your friend's or coworker's recent vacation before work starts. 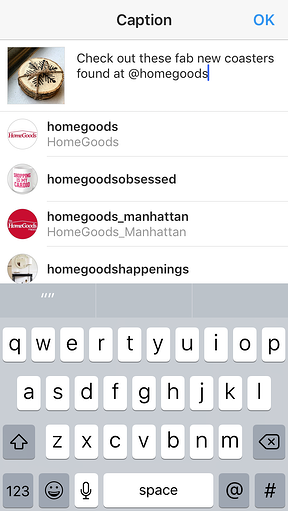 Manage an Instagram account for your employer? 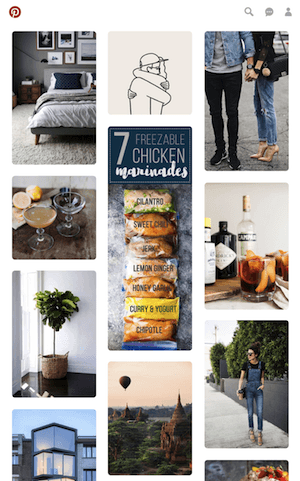 Look through the Stories of the business accounts you follow for inspiration you might be able to apply to your own brand. Ever scrolled through your Twitter feed and realized you've been just a bit too generous in how many people you follow? 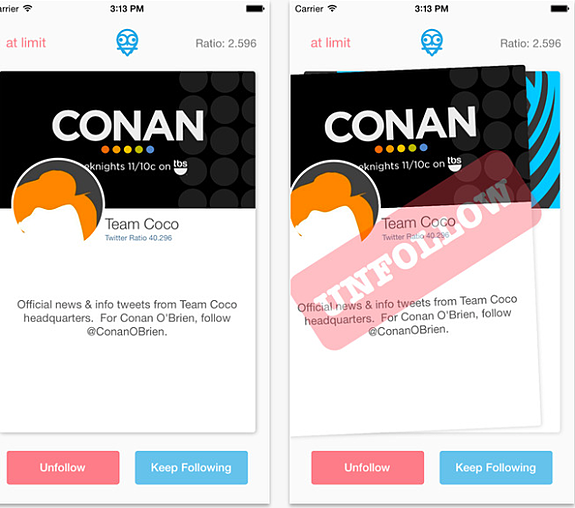 Twindr is a free app that works kind of like Tinder, but for unfollowing people on Twitter. All it takes is a few quick swipes to clean up your follower count. Mondays, am I right? Suddenly, in the midst of pre-workday standing nap among the subway masses, you find your mind flooding with a mental to-do list of all the stuff you didn't get done when you left the office early last Friday. If this scenario sounds familiar, you've got to breathe -- which can be tough to do on a Monday morning. But the following apps can help you get zen during your commute, no matter how long it is. The simple act of entering work every day can be stressful. Personal Zen presents you with a fun, relaxing game designed to curb anxiety with a gentle brain-training exercise. The app was designed by actual neuroscientists, and is just what you need to warm up for the day. It's alright if you've never seriously considered meditation. But you should seriously consider Headspace. 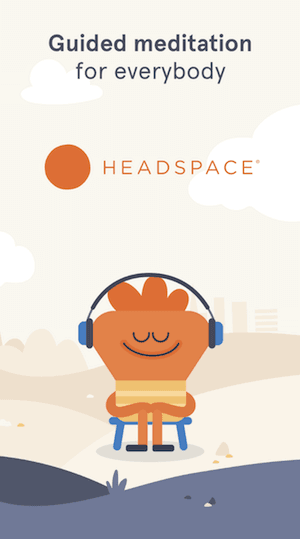 According to the app's developers, this mobile app is a "mindfulness coach right in your pocket." Choose from a number of different meditation exercises based on what you want to focus on: breathing, unwinding, focusing, reducing panic, and more. Put your headphones on and try an exercise while you're on the bus or train in the morning. A great way to get more exercise and burn more calories throughout the day is by building incremental physical activities into your daily routine. If that sounds like your style, use the following apps to draft a workout routine. 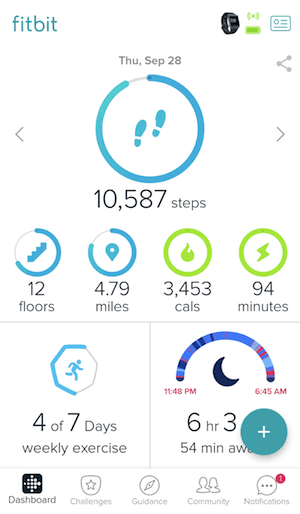 Fitbit allows you to set a step goal for each of your commutes. While it comes with a wearable wrist device you have to pay for, this hardware syncs with the app and measures your steps for free. 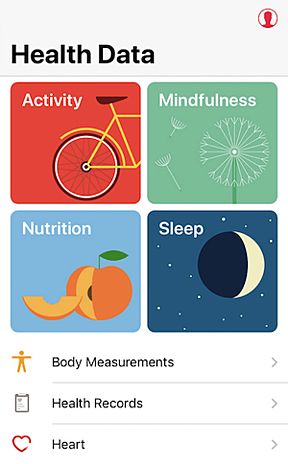 If you have an iPhone, the Health app will track any steps you take when you have your device with you. Each morning and afternoon, try to hit your goal. If you drive, park your car some distance away from the office and walk the rest of the way. If you take the train or a bus, get off a stop or two early and walk the rest of the way. If your mode of transportation gets delayed, get your steps in by walking back and forth on the platform. 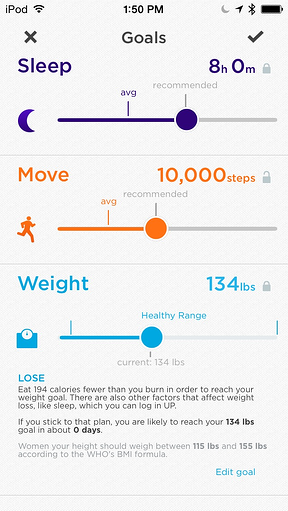 Nokia Health Mate is a digital report of your activeness, heart health, sleep quality, and weight management. Engage in various wellness programs and review your progress. You might even spend your commute seeing how well you slept the previous night. 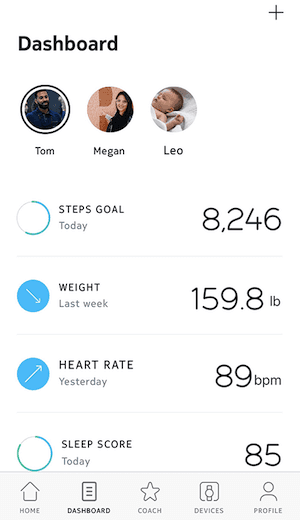 The app integrates with wearable devices such as the Apple Watch and numerous watches from Nokia's Withings collection. It can also share data with fitness apps like Apple Health and RunKeeper. Jawbone's app, UP®, helps you make wiser choices about the food you eat and the hours you sleep. This personal coach learns more about you the more you use the app, and develops diets and sleeping goals just for you. 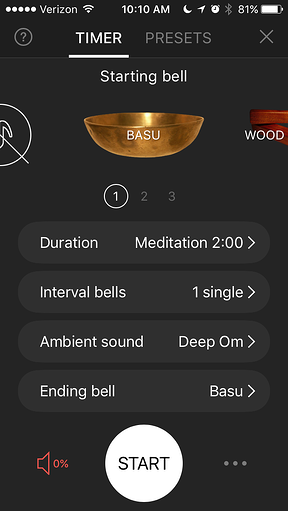 This is Apple's native fitness app, allowing you to coach yourself through programs that improve activeness, mindfulness, nutrition, and sleep. It seamlessly pairs with Apple Watch, and tailors its insight specifically to you -- based on your heart rate, body measurements, and more. You work hard. Your days are long. That's why it's so easy to resort to something that's quick and already prepared for dinner. But you don't have to fall victim to the easy way out -- if you plan ahead. The apps below can help you do just that, making it simple to plan your meals for the week in advance. This is your personal cooking assistant. From planning each meal to gathering the ingredients, Pepperplate is your personal menu, cookbook, and grocery list. Use this app during your morning commute to finalize the food prep you don't want to forget by dinner time. Need to call up a quick recipe? No problem -- BigOven has 350,000 of them at the ready. 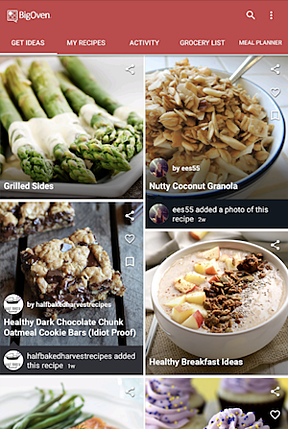 Featured in numerous culinary magazines, this app helps you learn about and prepare the meals that are always on the table in your home. Use it to prepare that evening's dinner, and even find inspiration for dishes you might want to try the following weekend. We get especially geeked-out over the Eat This Much app, in part because it's linked to grocery-delivery apps, if they're available in your area. Plus, it lets you set nutrition goals and set parameters for any dietary restrictions you might have, like vegan, gluten-free, or specific food allergies. See? Your commute doesn't have to be so bad, after all. And even if you're lucky enough to love your work, it never hurts to have that time to yourself to take care of the things that these apps are made to do. So get happy, get healthy and get "appy" -- it's one of the best ways to make the most of your precious morning time.